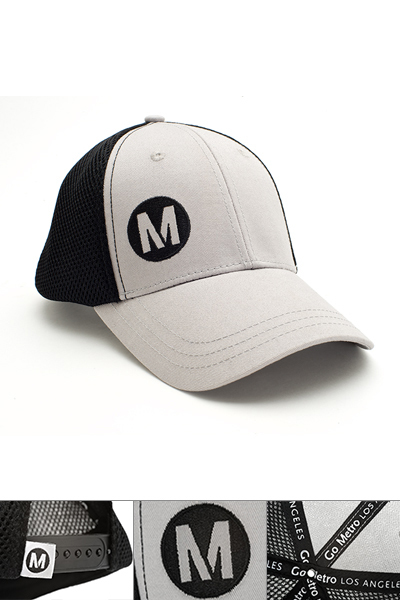 Metro online store now boasts two new lids — treat yourself to a holiday gift! You know what would be an awesome way to promote the benefits and features of TAP with this? 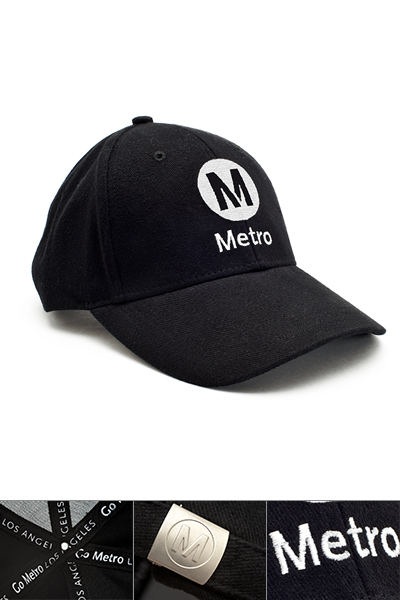 Make these goods sold on Metro Online Store purchaseable with a TAP card. You guys already have cash value loading capability for TAP, why not make good use of it by making stuff sold on the Metro Store to be purchasd with the cash value loaded onto a TAP card? And when you use your TAP card for purchases, you get a discount or free shipping. So like for this $11.00, if you buy it with a TAP card, you get a 20% discount to $8.80 and have it shipped for free. I agree that TAP use should be expanded to purchase goods and services and that the Metro Store should be a good place to test that out with benefits like discounted pricing and free shipping. If anything, they can also add TAP credits to it like a frequent buyers card; buy something at the Metro Store, earn points or credits which can be used to ride Metro. Almost every country in Asia can do this with their transit cards. For example, in Korea, you can buy soda at the vending machine, pay for concert tickets, purchase things at convenience stores with their version of TAP called the T-Money Card. It’s like a re-loadable debit card for their citizens. And the best part of it all is that it’s down to earth and simple without tacked out with BS stuff like monthly maintenance fees or online convenience fees. TAP needs to expand so that TAP holder can buy real stuff with their cards, not use it solely to ride Metro. Ask any Korean and they can tell you everything about how Seoul has a better contactless card system than LA because it can do so much more. How come you guys can’t do something like free shipping when you purchase over a certain amount? A lot of web based retailers do this because there’s a perfectly good logic to it: people buy more stuff in exchange for free shipping. You manage to reduce your cost burden because people will buy more things at once, hence you get to leverage a deal with USPS, FedEx and UPS for a bulk shipping deal. And furthermore, by eating up the reduced shipping costs, you also get in exchange, more purchases from consumers. Metro should hire marketing pros if they’re going into the retail business themselves. Face it, government employees aren’t really the best and the brightest when it comes to entrepreneurship. 1. A T-shirt or jacket that shows the Metro Rail system map. If people are lost, they can look at my T-shirt or jacket. A T-shirt and a map, two useful things in one. It’ll sell like hotcakes. 2. We need iPhone covers and iPad covers. A lot of people use tablets and smartphones these days, you need to sell items that go with what people have these days. 3. You need real retail spaces because that way you open up opportunities to sell limited edition merchandise that are station specific. Like you can only buy Metro goods with a Chinese theme to it at the Chinatown station Metro shop, or you can only buy Metro goods with a Hollywood theme to it at the Hollywood/Vine Station. It creates a “collectors” itch to it if you make things that can only be bought at certain places. 4. How about creating a Metro mascot instead of using the boring old Metro logo? We millennials love cute adorable things. You create a mascot and you sell it. Look how much billions Sanrio makes each year with their Hello Kitty and such. 5. How about a Metro monopoly set? Each of the properties will be named after Metro Rail Stations. Utility companies will be called LADWP and Southern California Edison. If you land on Go to Jail, you get sent to the board space named LA County Jail. The game pieces would be Metro Rail and Metro Buses. Chance and Community Chest can have stuff like “you didn’t TAP – pay fine” or “your TAP card expired and you lost all your money in it, pay $200 to Metro.” Be sarcastic but humorous! Show us you are a good sport by mocking yourself so that people will know you have a sense of humor behind those cold bureaucratic doors. 6. Antique items are cool too. You have stress toys that look like Metro Rail and Metro Buses, why not Pacific Electric Red Cars? 7. The plastic bag ban will go into effect next year. Start selling shopping bags. You need to look at what current events and trend to sell stuff in order to make profit. Eleven bucks for a baseball hat, it better be Made in the USA. I like the design, but I’m not going to pay $11 + shipping for a baseball cap. I agree, if Metro had a physical store at their stations I’d likely purchase it to save on shipping costs, moreso if there was an incentive to it like discounts or earning points for buying it with a TAP card. Metro should promote that a portion of the profits from the good sold at the Metro Store will go to help charities like supporting our troops and veterans, schools, gay marriage rights, cancer research, the poor, helping natural disaster victims like the hurricane in the Philippines, and so on. That way, it will help Metro gain lots of buyers if they promise that some of the profits go where they are needed instead of pocketing all of the profits for themselves and their unions. Set a good example for everyone – don’t be greedy and selfish. How does one pay at an online store with an RIFD card then? Every TAP card has an unique 16 digit number on the back of each TAP card. Shipping costs are a barrier to buying goods. Please open a storefront or look into alternative (cheaper) shipping options. Everyone buys stuff online these days with their credit or debit card, but you don’t have everyone owning USB magnetic stripe swipers hooked up to their computers, right? You just type in the account numbers, expiration date, and the three digit code on the back (or the 4 digit code on the front if using AMEX) if you want to buy something online with a credit/debit card. That being said, every TAP card has a 16 digit account number that’s tied to each card. This is the number that you’re supposed to type in when you register the card for balance protection on the taptogo.net website. If that 16 digit account number is the key identifier that distinguishes one TAP card for another, then that same number can be used to deduct money from your TAP account if you buy something online from the Metro Store. Who says you can only use TAP to buy rides on Metro? If there’s money in it in US Dollars currency, then that money should be just as valid to be “legal tender for all debts, public and private,” just as it’s written on a dollar note. The only difference is it’s the money is in digital form stored in a card or the server as a debit account. If anything, it would be fantastic if TAP can start becoming more like a prepaid reloadable debit card so that it can be used to pay for parking meters, a coffee at Starbucks, a bottle of Coke at 7-Eleven, fill up gas at Arco, buy groceries at Vons, and so on. Just like K-Town Commuter said, many countries use transit debit cards to make purchases other than riding public transit, and they’ve been using them for years now. My Suica card from Japan for example, still has about 3000 yen loaded onto it and I can check my balance on that card using a Suica reader app loaded onto my smartphone. When I use it in Japan, it can be used not to just ride the JR lines, the multiple private rail lines, the Tokyo Metro subway and the buses, but also to buy drinks at vending machines, convenience stores, I can even buy new clothes or whatever with it if the store accepts Suica as a form of payment. Consumers these days are sensitive to prices and fees. The lack of free shipping incentives will be a detriment to the success of the Metro Store. A lot of people pointed out good ideas here like discounts for purchasing with a TAP card, a rewards program, and the need of real retail stores to save on shipping costs. I hope Metro takes them into consideration.